Yup, it costs $999. But you'll pay it. Holy hardware! The next iPhone costs $999. 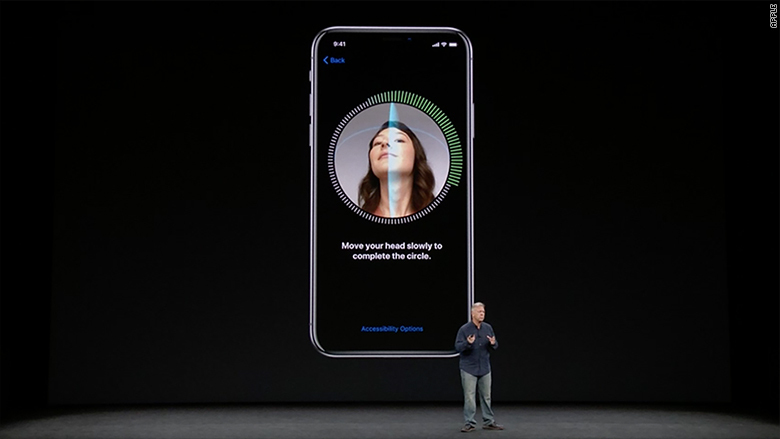 The iPhone X comes with all the bells and whistles: an edge-to-edge screen, face recognition, wireless charging and an improved camera. But is anyone going to pay such a high price for an iPhone? You bet. "Apple has cultivated a class of buyers who pay more and expect to pay more for a type of brand prestige," Steve Wozniak, Apple's cofounder, told CNNMoney on Monday. "Even techies want to show off that they have the very latest iPhone." 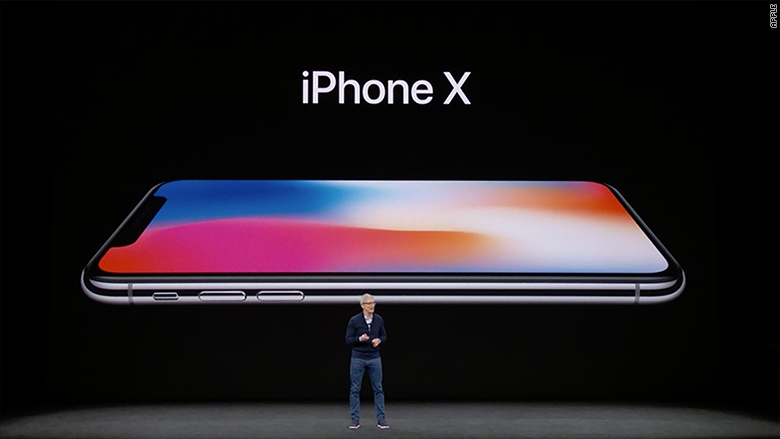 The iPhone X is the first iPhone in three years to look substantially different from the iPhone 6. Although some may want the latest and greatest, Apple fans weren't always willing to shell out so much for a new iPhone. A decade ago, consumers feigned shock and horror when the company said the first iPhone would cost $599. Apple eventually cut the price by $200 and offered credits to customers who already bought one. Fast forward to today: The average selling price of an iPhone is $605 -- and no one blinks an eye. The 256 GB iPhone 7 Plus had cost $969. So some folks have already paid $1,000 for their iPhones. Apple and the rest of the smartphone industry have done an impressive job removing the sticker shock by moving to a monthly payment model. The average iPhone sold last quarter cost just $25 a month over two years. At $999, the iPhone X will cost $42 a month over two years. That means $17 a month more than what many are already paying. 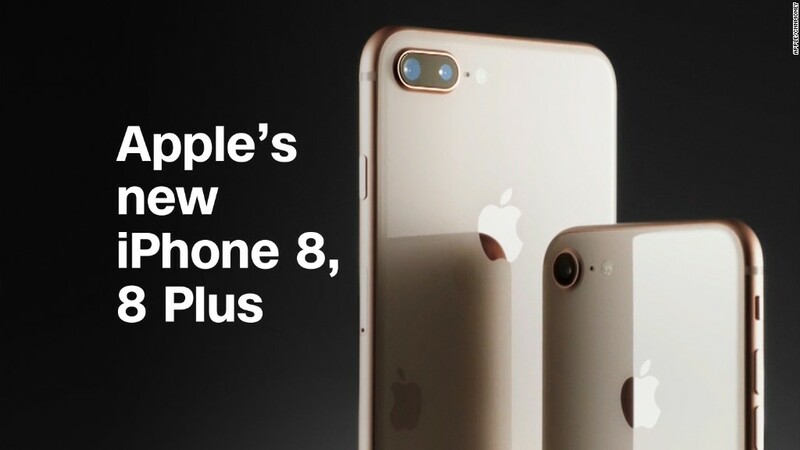 Apple analyst Gene Munster, now with Loup Ventures, believes between 30% and 40% of Apple's customers would be willing to pay the $999 to buy the new iPhone. People spend more than four hours a day on their phones, according to comScore. That makes them far more valuable than any other gadget -- including laptops, which easily sell for over $1,000. "Your greatest return on investment for any piece of technology is your phone," Munster said. "People have become more comfortable spending lots of money on their phones." 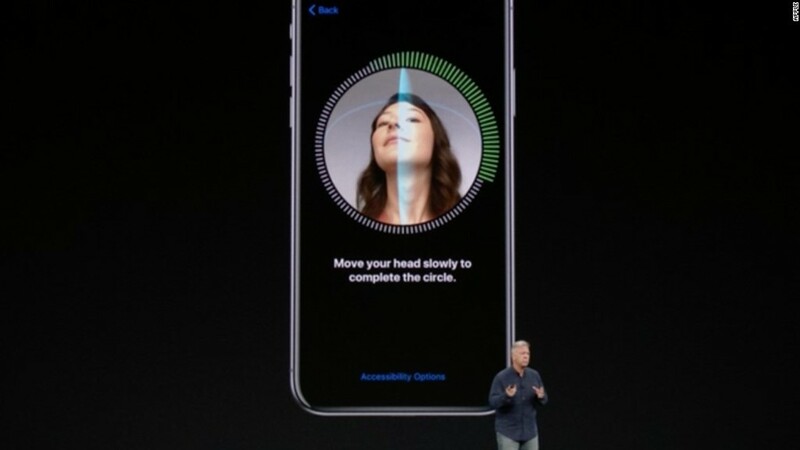 The iPhone X uses face scans for ID. The counterargument is that there are really great phones on the market now for less than $400. Xiaomi, OnePlus and Motorola have raced to offer competively-priced devices that maintain surprisingly high quality. Even Apple understands the appeal of lower-cost devices with its iPhone SE for $399. But Horace Dediu, an Apple (AAPL) analyst with Asymco, believes offering a super high-end iPhone is the right move for Apple, because it follows a classic retail strategy. Consumer goods makers typically offer low-end, mid-range and high-end products, and customers typically find themselves buying in the middle. Apple has offered a less-expensive and a mid-range iPhone, but it hasn't yet come out with a bells-and-whistles, aspirational iPhone for its biggest fans. "Without an aspirational product, it assumes there's no value in a phone beyond its utility," Dediu said. "But some people want to buy expensive things to feel good about themselves, because they want to give expensive gifts or feel powerful or influential." How does Apple's biggest fan feel about the $999 price? "I'm sure that I'll want at least one of the new iPhone, but maybe not five of them, like in the past," Wozniak said. Updated: A version of this article was published on Monday, before the Apple announcement.